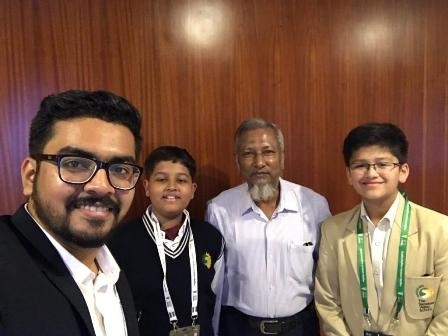 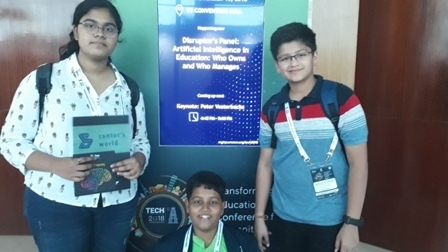 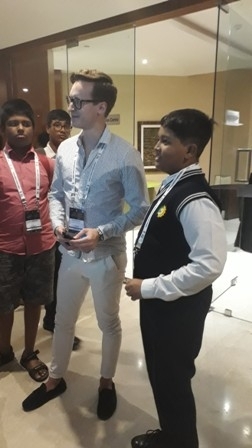 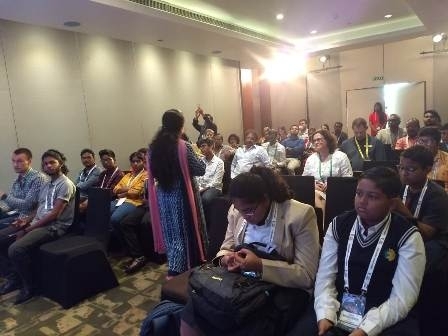 TSVS students were quite a crowd puller at the International Transforming Education Conference for Humanity (TECH) 2018 organized by UNESCO MGIEP at Vizag from 15th to 17th November 2018. 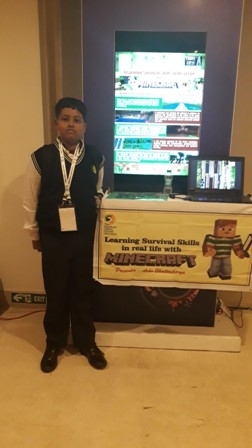 Presenting their research and projects on the theme ‘Survival Skills in Minecraft’, ‘STEM in Education- Opportunities in India’ and ‘Ripple Effect- New opportunities of learning and better engagement for differently abled children with gamification’ by Arko Bhattacharya, Saatvik Pradhan and Soumya Swain respectively, the students won great appreciation from the conference attendees. 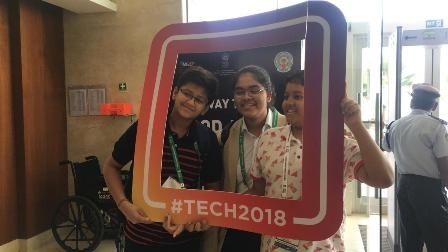 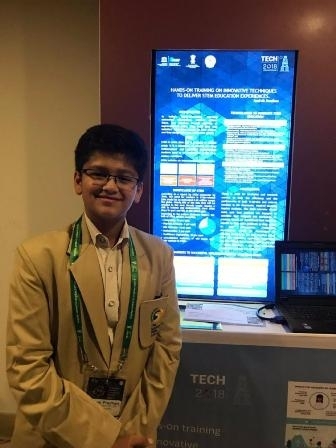 Arko received an offer to do an internship with the Angry Birds team in Finland while Soumya who also presented an app was asked to submit a detailed proposal to UNESCO MGIEP for fund allocation. 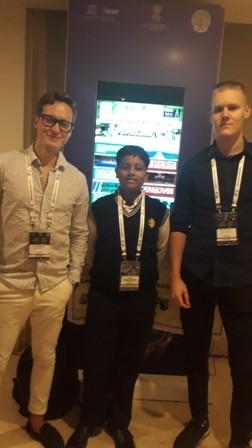 Being the youngest presenters, Arko and Saatvik were awarded a scholarship of 300 USD during the conference. 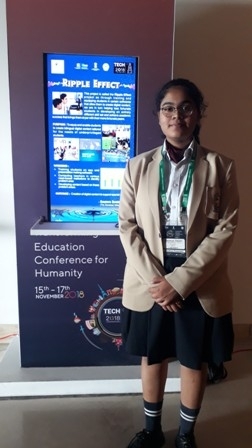 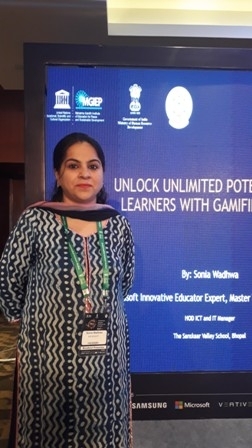 As a matter of great pride, Microsoft sponsored all expenses of Soumya Swain for attending the conference.